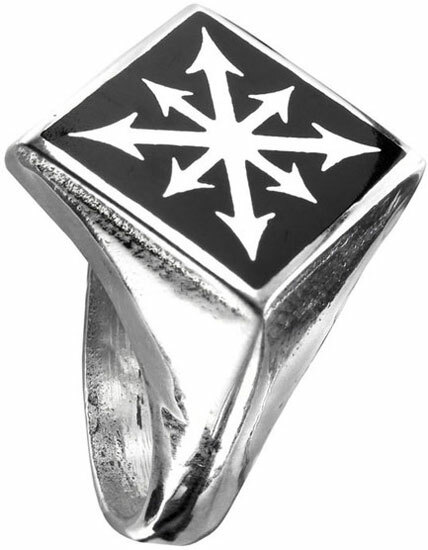 The polished black enameled device of the infamous maelstomic arrows. 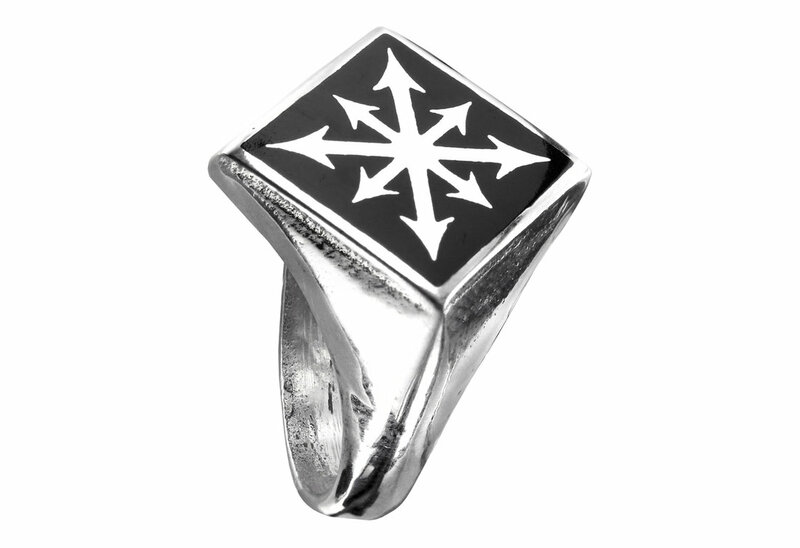 The Chaos Signet ring has a black enamel chaos star on the top and is made of pewter. By Gothic Alchemy.